There are many variations of celeriac remoulade: Depending on regional customs & personal taste, it can also be made with apples &/or even nuts. Celeriac remoulade is traditionally paired with shredded carrots marinated in a light vinaigrette. In the French collective consciousness, this is what is expressly envisioned when one thinks of crudités. Crunchy, light, & refreshing, this is the perfect side dish for summer! Directions: Using a whisk, beat egg, salt, pepper, & mustard in a deep, medium-sized mixing bowl until well combined. Add vinegar & 1 Tbsp. lemon juice & briskly whisk together, slowly incorporating oil until the mixture emulsifies and begins to thicken. Refrigerate for 2 hours to allow mixture to thicken even more. Remove from fridge & add Greek yoghurt & remaining 2 Tbsp. lemon juice. Whisk again, rapidly, until well combined. Add fresh tarragon & chervil & gently mix together. Place mixture back into the fridge while you prepare the celeriac. 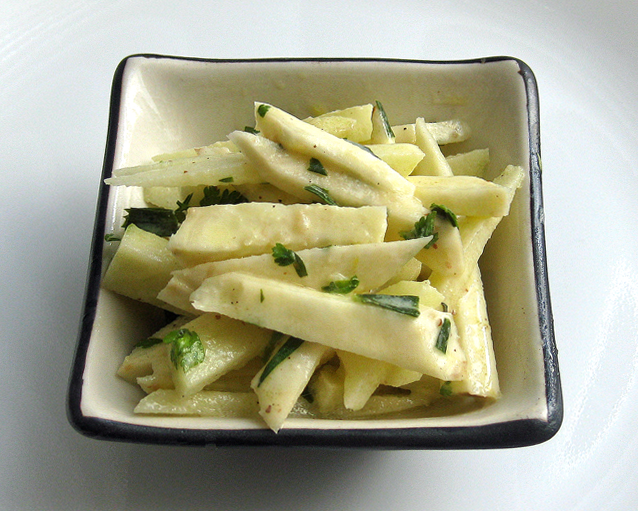 Peel & julienne celeriac into 1/8" x 2" matchsticks/strips (by hand or using a food processor). Quickly remove sauce from the fridge. Immediately transfer celeriac to the mixing bowl where the remoulade/sauce is contained, & thoroughly toss to coat all of the celeriac (to prevent discoloration). Cover with saran wrap & refrigerate for at least 3 hours before serving. 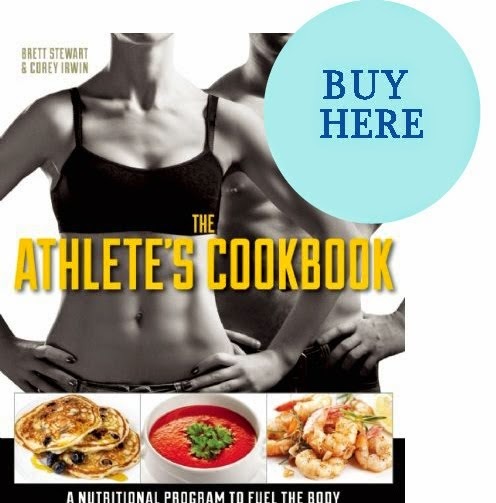 (The longer you marinate it, the better it will taste!) Serve cold or at room temperature. Will keep up to 2-3 days in the fridge. For some creative & non-traditional ingredient ideas, try 2 Tbsp. shredded red bell pepper, 2 Tbsp. shredded carrots, &/or 1-2 Tbsp. chopped Kalamata olives. 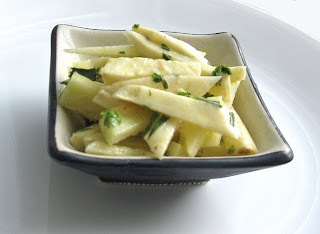 Or, for a little bit more interest, try substituting 1 c. Granny Smith apple for 1 c. celeriac in the above recipe. Julienne into 1/8" x 2" matchsticks, & marinate it along with the celeriac. I've made it this way before, & it's rather tasty! Celeriac tends to be a tad bit bitter sometimes, so the addition of apple really helps to mellow out the flavor of this dish. The apple's flavor is actually very mild & subtle when combined with the other ingredients, so it doesn't really taste that sweet or tart at all. It adds just a hint of flavor. Both the apple & the celeriac have a crunchy texture, so they are the perfect complement for one another. Some people also like to add garlic, but I'd strongly advise against it. I do enjoy bold flavors, but sorry to say it, the garlic just tastes wrong in this dish. First, I find it to be overpowering even in the smallest amounts. The first time I made it, I tested it with only a tiny bit of garlic & it was still way too strong, so believe me when I say that a little bit goes a LONG way! Second, there's enough flavor in the other ingredients to carry the dish by itself. Also, it's not a flavor that's really supposed to be added. Most authentic celeriac remoulade recipes are made sans ail (without garlic). A much better addition would be chives. They are far milder & complement the other flavors in this dish without overpowering them. Chef's Notes: In my experience, celeriac is often hard to find at conventional grocery stores here in the U.S. However, I did find it at Whole Foods, so you can either try there or look for it in European specialty markets. My mom recently told me that they also carry it at Wegman's, so that'd be another good place to look. Come to think of it, Trader Joe's might possibly carry it too. Since celeriac discolors a bit once sliced open, it's advisable to make the sauce first for the best results. Also, don't be concerned about using a raw egg; the acidic components in the sauce (i.e., lemon juice, vinegar, etc.) "cold cook" all of the ingredients and tenderize the grated celery root to give it a nice texture. Also, be sure to use canola (or vegetable) oil, and NOT olive oil in this recipe. Olive oil, particularly extra virgin olive oil, is a bit too sharp & overpowering for this dish. The general concept here is to allow the celeriac, mustard, & lemon juice flavors to take center stage, with the other flavors acting as background notes.